With summer just around the corner, a good sun hat is a must to protect your skin from the sun. 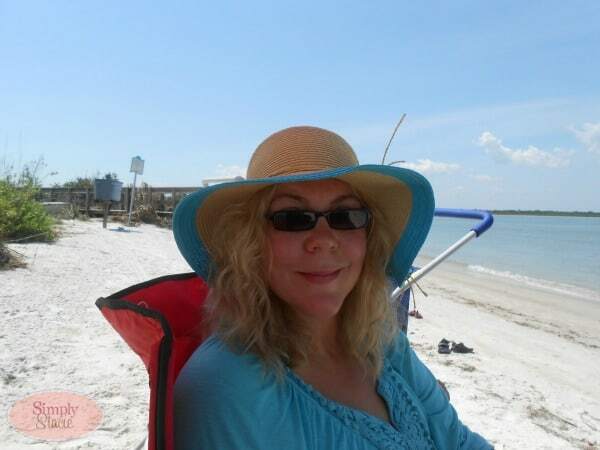 As a Florida native with a history of skin cancer in my family, I wear a sun hat year round. Thankfully, Dorfman Pacific has a wide variety of protective hats that are also very stylish and chic including the Scala and Tropical Trends collection. Dorfman Pacific has a wide variety of fashionable styles to choose from for both men and women. From women’s fashion visors, wide brimmed hats, straw hats and much more there is sure to be the perfect hat for you to choose at Dorfman Pacific. I like to wear a full coverage hat when I am working in the garden or spending time at the beach and the pool. 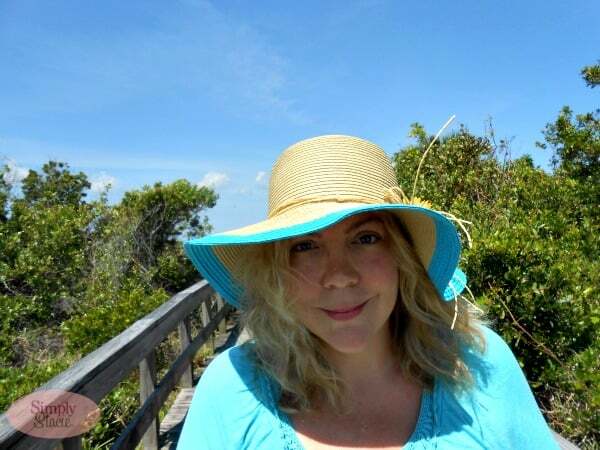 I really like the Dorfman Pacific’s LP157 Floppy style brimmed hat (SRP $25) which provides a UPF 50 sun protection factor (SPF) giving me maximum protection from the damaging effects of too much sun exposure. I love the floppy style and comfortable fit that is adjustable with a self-sizing tie. This hat comes in four fabulous color variations to fit your wardrobe with brim trims available in black, turquoise, tea and fuscia. The hat maintains its shape….it even bounced right back into place after it accidently got crushed in my beach bag. Since this bag is designed to travel well it will be the one that I take with us on our upcoming summer vacation! Another great option is the Dorfman Pacific LP54 Roll Up Visor in a ton of fabulous colors for only $25. This hat has been featured in O Magazine as one of Oprah Winfrey’s favorite hats. It has a unique roll up feature that is perfect for traveling too. You are invited to visit Dorfman Pacific to browse the entire collection of sun hats and other fashion hats available for men and women. In my opinion it is so important to protect your skin from the sun so a great hat is a summer must-have accessory……Dorfman Pacific is one of the best! Connect with Dorfman Pacific on Twitter. Beautiful hat! I’m going to check them out as I’m in the market for a good hat for this summer season! 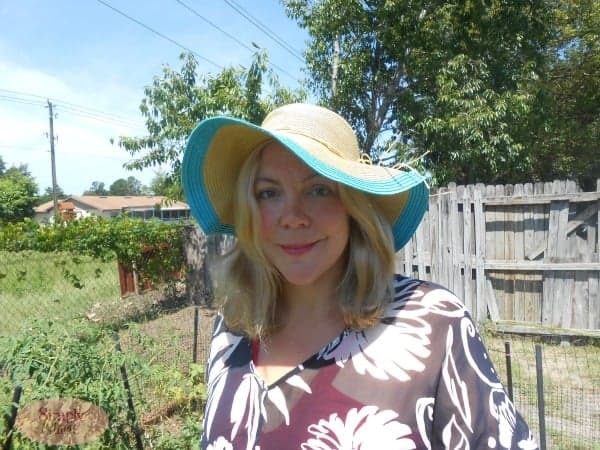 I so love hats, and am almost never outside without one in the summer. The one you are wearing is perfect for sun protection and is so cute. Beautiful hat and photos! The turquoise gives it a pop of color and really adds to the fashion. It’s very important to stay protected from the sun, but we want to look good to. You have shown off a wonderful hat that does both. This would be great for several members of my family.